During the last few decades, both policy practices and policy idioms have drastically changed. Concepts such as interactive planning, network management, stakeholder dialogue, deliberative democracy, policy discourses, governance, etc. have replaced older ones such as public administration, policy programmes, interest groups, institutions, power, and the like. Although we recognise the relevance and importance of this shift in vocabulary, we also regret related ‘losses’. We particularly regret that the concept of power has – in our view – become an ‘endangered species’ in the field of public policy analysis. 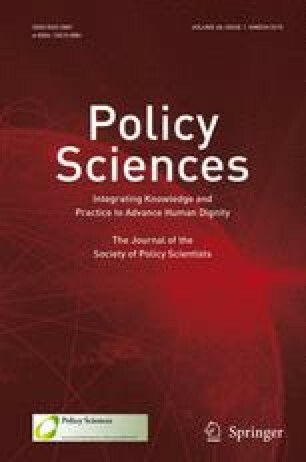 We therefore will develop a framework to analyse power – being a multi-layered concept – in policy practices in this article. We will do so on the basis of the so-called policy arrangement approach, which combines elements of the old and new policy vocabularies. In addition, we draw upon different power theories in developing our argument and model. As a result, we hope to combine the best of two worlds, of the ‘old’ and the ‘new’ idioms in policy studies, and to achieve our two aims: to bring back in the concept of power in current policy analysis and to expand the policy arrangement approach from a power perspective.